Hoo boy. This is a big one! You will notice that all of these still use recolored versions of the already existing followers. That will make telling them apart a bit hard but will be fixed as soon as Anjin has some time to work on more faces. 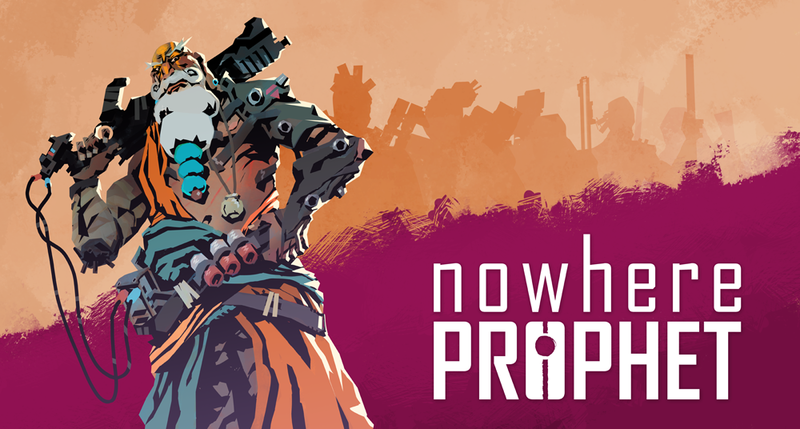 According to his current schedule he'll be able to devote some time to Nowhere Prophet at the end of this month, so all of you that have backed on THE FACE tier (and sent in their photos) will have to wait a bit longer. 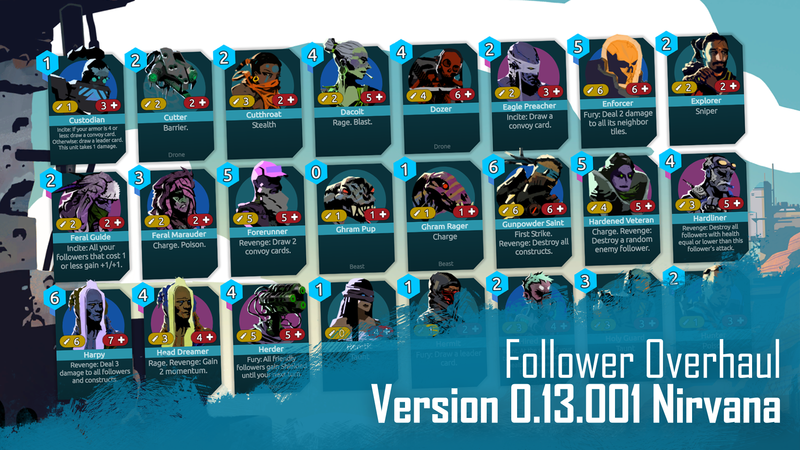 Also note that initially I wanted to add another unlockable class to this update but decided to add more followers instead, postponing THE ECHO to a later update. As usual: If you're using the itch.io app the game will auto-update, otherwise you'll simply have to re-download! UI: Clean up of card text referring to "wounded" or "damaged": Damaged means the follower is not at full health. Wounded means the follower has suffered a wound. And I hope I haven't forgotten anything. So, if you've got any feedback on these changes, do let me know! And don't forget to join the Discord Channel! If you had some time to play around with the new followers, I'd love to get some feedback! I played some, and sadly died just before the end of the first map. There is a huge amount of new stuff all around (skills, followers, effects, items...), all with a way better balance. Well done ! I didn't test enough to have a proper feedback yet, but clearly it's positive (however i already liked the game several months ago). Anyway, i will play more, for sure. I still have to find time for some proper plays to test the balance. These are all pretty much my initial gut feeling. Plus the enemies don't make use of them yet, so that's gotta change too.